Don full battle gear and practice sparring with the Samurai with Weapon Stand. Play with this set on its own or combine it with any other PLAYMOBIL set. Set includes one figure, helmet, flag, swords, weapon stand, and other accessories. Price is 78% above the initial Playmobil retail price! 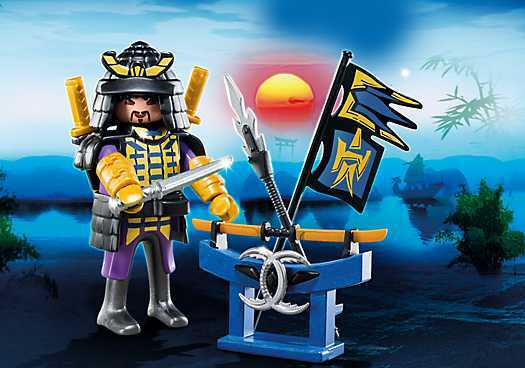 The Samurai with Weapon Stand (4789) Playmobil set is no longer directly available from the sites below. However, 3rd party partners of these sites might still have the set available.